Discussion in 'News & Announcements' started by SIRIUSaboutXM, Sep 16, 2013. NEW YORKâ€“ Sirius XM Radio (NASDAQ: SIRI) and The Wharton School of the University of Pennsylvania today announced the creation of â€œBusiness Radio Powered by the Wharton School,â€ an exclusive, groundbreaking 24/7 channel featuring easily accessible information on a wide range of business topics. From hiring and motivating staff to creating a business plan to raising capital and financing businesses, the channel will be delivered directly by the worldâ€™s top business experts and leading minds in business education at The Wharton School. Business Radio, created exclusively in collaboration with The Wharton School, with an expected launch in early 2014, will air via satellite on SiriusXM channel 111, and through the SiriusXM Internet Radio App on smartphones and other connected devices, as well as online at siriusxm.com. Business Radio will feature world-renowned and distinguished professors and alumni as regular weekly hosts, plus executives, entrepreneurs, innovators and other experts as special hosts and guests. Business Radio Powered by the Wharton School will offer listeners direct access to world-class Wharton faculty â€” trusted advisors of corporations and governments worldwide and one of the most cited, most published faculties of all top-tier business schools â€” from a wide range of fields and areas of expertise. The advice, information, topics and real-life people/businesses explored on the channel will help listeners of all ages, backgrounds and levels of experience â€”entrepreneurs still formulating plans for their great ideas in their heads, generations of a family business, longtime mom-and-pop store owners and seasoned business executives alike â€” to navigate the 21st century business world. Every aspect of business will be covered in an informative, entertaining and accessible manner on Business Radio â€” from the biggest headlines of the day to the nuts/bolts of how to build a business from the ground up â€” as well as selling/marketing with social media; how to connect with consumers and cultivate long-term customer/client relationships; Management 101: hiring, firing, compensation and benefits; ethics; leadership; businesses of the future; and advice/ideas geared toward women in business. > Market Update with Jeremy Siegel â€” a weekly, in-depth analysis of the dynamics of the stock market hosted by Whartonâ€™s Russell E. Palmer Professor of Finance. > Launch Pad â€“ new ventures go live on Business Radio and listeners weigh in. Hosted by Karl T. Ulrich, Vice Dean of Innovation; CIBC Professor of Entrepreneurship and e-Commerce; Professor of Mechanical Engineering. > When Things Go Wrong â€” listeners share customer service experiences gone awry and Business Radio gets to the bottom of the situation. Hosted by Christian Terwiesch, Andrew M. Heller Professor, and Marshall L. Fisher, UPS Professor, both of the department of Operations and Information Management. > Sports Business â€” listeners are invited behind-the-scenes to explore the business issues underlying the multibilliondollar sports industry. Hosted by Kenneth L. Shropshire, David W. Hauck Professor of Legal Studies and Business Ethics; Director, Wharton Sports Business Initiative. > The Business of Retailing â€” understanding and managing retailing, the economyâ€™s largest sector. Hosted by Barbara E. Kahn, Patty and Jay H. Baker Professor; Director, Jay H. Baker Retailing Center; Professor of Marketing. Visit Welcome to the world of satellite radio - SiriusXM Radio and The Wharton School of the University of Pennsylvania for more information. Kevin Werbach is a leading expert on the business, policy, and social implications of emerging Internet and communications technologies. Werbach is an Associate Professor of Legal Studies and Business Ethics at The Wharton School, University of Pennsylvania (since 2004). He is also the organizer of the annual Supernova technology conference and maintains a blog ("werblog"). On 14 November 2008 it was announced that President-elect Barack Obama has selected Susan Crawford and Werbach to lead the review of the Federal Communications Commission (FCC). The review team "will ensure that senior appointees have the information necessary to complete the confirmation process, lead their departments, and begin implementing signature policy initiatives immediately after they are sworn in." Werbach's areas of interest are emerging internet technologies, telecommunications policy, electronic commerce, wireless communication, and regulation. He advises major information technology and communications companies on strategic business and policy implications of emerging technologies. At The Wharton School Werbach is currently working in the areas of evolving Internet architecture policy implications, regulation of Internet video, next-generation broadband access, and decentralized communications, computing, and media business implications. 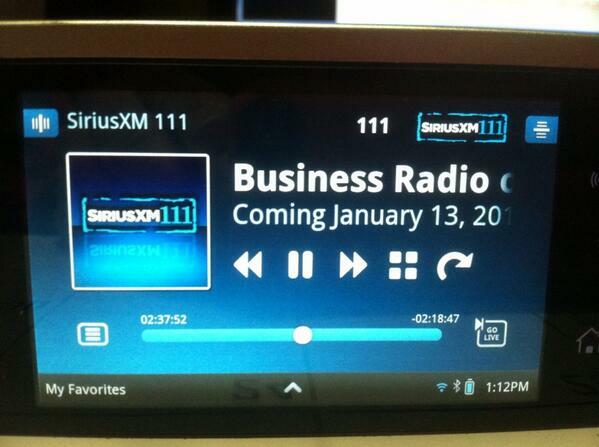 Wharton is launching its own channel (111) on SiriusXM radio next week, and I'm thrilled to be hosting the first show! The Digital Show will feature great tech talk every Monday from 5-7pm ET (that's 2-4 for you kids on the west coast), hosted by me, Kartik Hosanagar, and Reed Hundt. Tune in for the kickoff show on Monday January 13. Kartik Hosanagar is a tenured Associate Professor of Internet Commerce at The Wharton School of the University of Pennsylvania. KartikÂ´s research work focuses on Internet media and Internet marketing. Kartik has been recognized as one of the world's top 40 business professors under 40. He has received several teaching awards including the MBA and Undergraduate Excellence in Teaching awards at the Wharton School. His research has received several awards including the best paper award at the Consortium on Technology Policy and Management. Kartik is a cofounder of Yodle Inc, a venture-backed firm that has been listed among the top 50 fastest growing private firms in the US. He has served on the advisory board of Milo Inc (acq by eBay) and is involved with other startups as either an investor or board member. His past consulting and executive education clients include Google, Nokia, American Express, Citi and others. Kartik graduated at the top of his class with a Bachelors degree in Electronics and a Masters in Information Systems from Birla Institute of Technology and Sciences (BITS, Pilani), India, and he has an MPhil in Management Science and a PhD in Management Science and Information Systems from Carnegie Mellon University. Reed E. Hundt (born March 3, 1948 in Ann Arbor, Michigan) was chairman of the United States Federal Communications Commission from 1993 to 1997. Appointed by President Bill Clinton, he served for most of Clinton's first term. He was succeeded by William Kennard. Work and Life is a radio show that explores everything related to work and the rest of life; your home and family, your community and society, and your private self (mind, body, and spirit). Youâ€™ll hear from the worldâ€™s leading experts â€“ including researchers, CEOs, psychologists â€“ and from everyday people in all kinds of jobs and families, with the aim of helping you become more informed and effective in creating harmony among the different parts of life. Work and Life is a live interview and call-in show that airs Tuesdays, 7:00â€“9:00 PM, EST beginning January 14, 2014, hosted by Prof. Stew Friedman, Director of Whartonâ€™s Work/Life Integration Project. We broadcast from the Wharton School on the University of Pennsylvania campus. The mission of Business Radio Powered by The Wharton School is to educate listeners about business and management in order to maximize their personal career success and enhance the social and economic performance of the organizations in which they work. Read the press release about our launch.